Today’s youngsters have grown up with the internet and it is no surprise to find the world of smartphones, tablets, and cyberspace are part of their daily lives. With kids growing up in a digital age it goes without saying that our biggest concern as parents is how to keep them safe when using these devices. Internet technology can be used as a valuable informational resource and learning platform. But, as it is largely unregulated, it also has its disadvantages and due to their inexperience, children may not understand the problems they can be exposed to online. 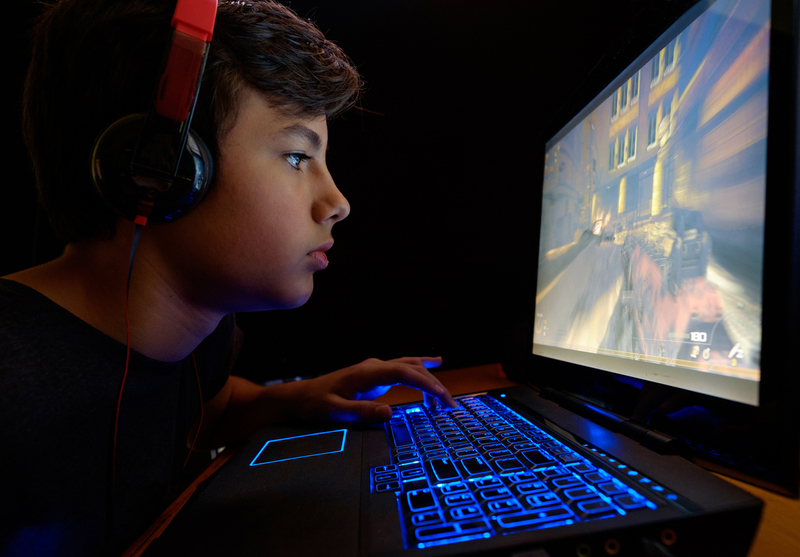 Everything from online bullying, fake emails and gaming addiction to indecent content, computer viruses and data protection, your kids are at risk if left with no parental controls. As well as providing them with a safety net it is our role as parents to also ensure we find the right balance between technology and real life. There are plenty of ways to keep kids safe online and perhaps the most important one is the use of parental blocks. These can be used to block upsetting or harmful content, control in-app purchases or manage how long your child spends online. Although setting up these blocks is fairly easy, it was my own lack of knowledge that forced me to realise the error of my ways when my middle son Joey – now aged 15 – came across inappropriate content when he was just eight years old. Having progressed from watching Peppa Pig TV programmes on my phone to doing dot-to-dot puzzles on the children’s TV channel Cbeebies website, I had helped him set up a penguin aviator on Club Penguin – once a massively multiplayer online game involving a virtual world that contained a range of games and activities. All fairly innocent stuff I believed, having read about the game and sat with him as he learnt to control his penguin down ice slides and build igloos. What I wasn’t aware of though – much to my embarrassment – was that the penguins could talk to each other unless in “safe mode”, which it seemed my son’s account was not. In the time it had taken me to run his bath, my son had become the victim of online abuse as he came upstairs crying hysterically at what I discovered was a barrel of explicit language that had appeared from another penguin’s speech bubble towards him. Alarm bells rang as I dealt with my son’s shock and tears whilst angrily blaming myself for my own stupidity. As parents we all make mistakes and having just finished his GCSE’s I have no doubt that Joey is not in the least bit effected by this experience from his childhood, but it was a lesson to me on the importance of just how easy it is for a child to discover the dark side of the web. Knowing there is such a thing is important for children to understand, as is teaching them the basics of safety – such as, don’t give out personal information online, have a family discussion to set boundaries, and agree which apps or websites are appropriate. Teaching our kids about this now and in the future is our job, and the challenge of getting it right is hard – especially for someone like me who writes about a lot of these issues for a living, yet still got it wrong! Having learnt my lesson I’m now a fully paid-up member of the techie club, I’m well aware of the risks faced by my children online and I fully trust my three sons to talk openly with my husband and I if they have any safety concerns. 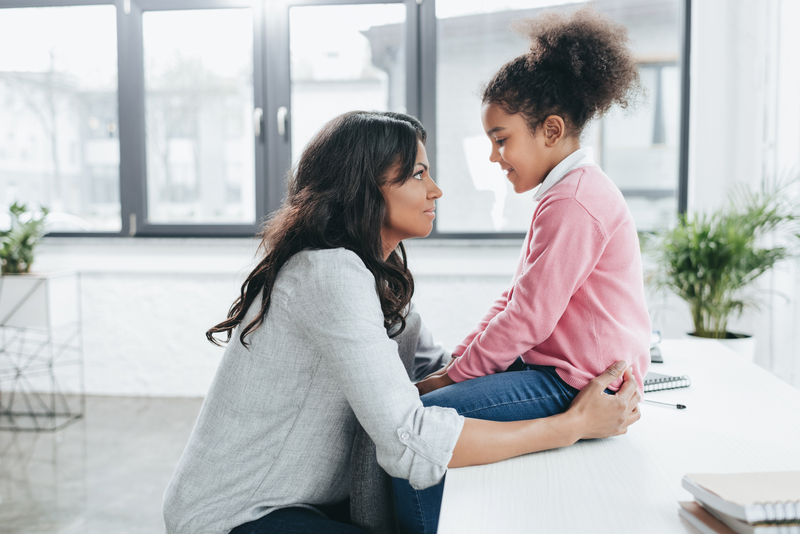 Innocent searches online can lead to not so innocent results, so the installation of parental controls (including antivirus software and kid-friendly browsers) can help keep your child safe. There is all sorts of software that can be used to block out the web’s nastiest content, as well as control how much screen time you want the kids get each day. If you’re really concerned about what your kids are doing on the internet, you can even block certain domains at the router level, although in many circumstances – especially with younger kids – basic security tools may be all you need. For many parents, especially those who are not tech-savvy, it can be difficult to know what parental blocks are the best to use. This is where specialist help and advice may be needed – one such place is the organisation Internet Matters, which helps parents to understand the risks their children may face online and help them navigate the digital world safely. As well as providing parents with the best advice and information available on dealing with online risks, Internet Matters is full of resources for parents who want to learn how to be involved in their children’s digital lives, including the use of parental controls to ensure your kids are safe online. 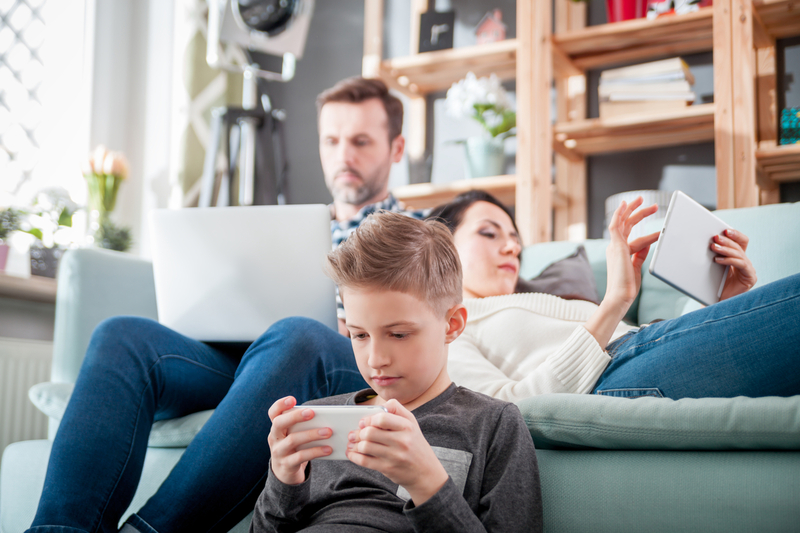 The most important thing when it comes to allowing your kids screen-time is to ensure they understand the benefits but also the risks of what comes with it. 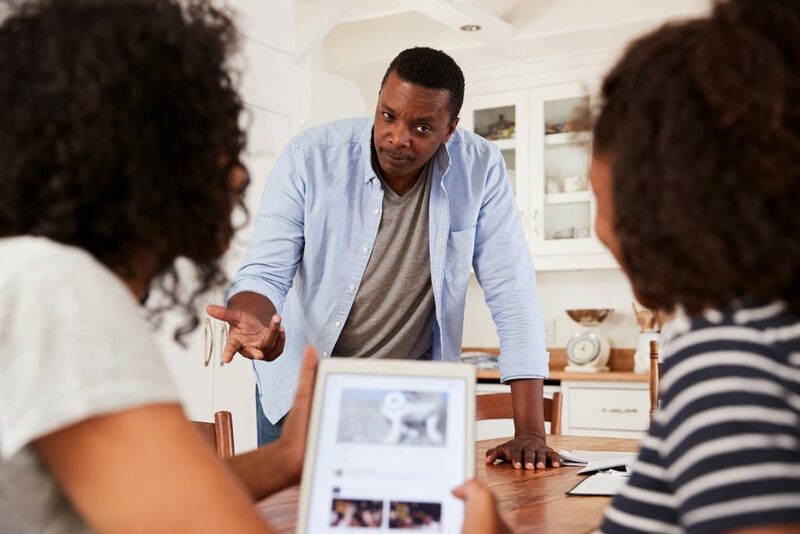 You might find it helpful to start with a family discussion to set boundaries and agree what’s appropriate, and explore websites and apps together so you are both aware of what is age-appropriate. Kids need to be aware of the dangers of responding to messages from strangers and revealing private information, such as what school they attend, so by keeping an open path of conversation you can reassure them they can feel safe coming to you with concerns about those things. 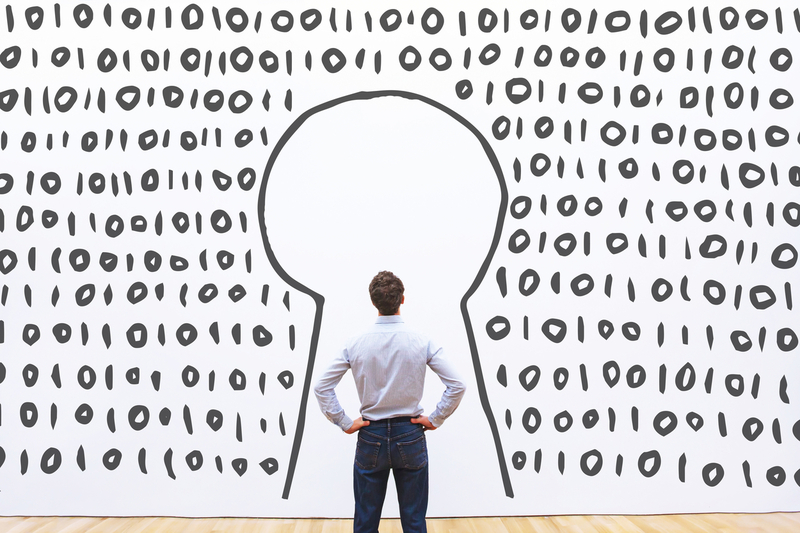 “Parent-child dialogue is extremely important when it comes to ensuring positive family relationships”, points out David Emm, Principal Security Researcher at the Kaspersky Lab – a global cybersecurity company.